What is causing the current backorder on thyroid medications? I’m calling regarding the thyroid backorder. The patient on the other end of the phone spoke with the clipped efficiency that comes from repeating the same conversation multiple times. She confirmed a little later that we were in fact the fifth pharmacy she had called in her search for someone who could fill her thyroid prescription for a certain brand that’s been on backorder, which was proving to be more difficult than anticipated. I knew what she was going through. For as many outgoing calls that patient had made to different pharmacies that day, I had probably taken just as many incoming calls from exasperated patients on the same search. And it was only 10am. Since this backorder has affected so many, we thought we’d shed some light on what’s going on and provide the easiest solutions to continuing your thyroid therapy despite the current unavailability of some thyroid medications. What is causing the backorder? According to a statement put out by RLC Labs (makers of two popular thyroid medications: Nature-Throid & WP Thyroid), the company faced “major hurdles” obtaining the key ingredient, which in turn lead to a production stall, which then dominoed into the nationwide backorder we are experiencing today. Contrary to some stories circulating on the rumor mill, the company is not going out of business or changing their formula. 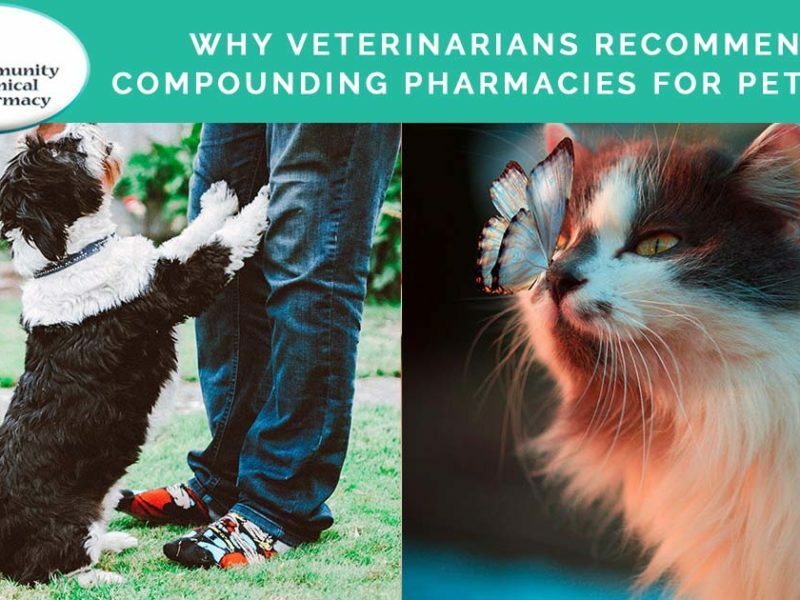 Our Expert Pharmacists at Community Clinical Pharmacy have helped thousands find custom formulated, compounded medications that fit patients’ individualized needs. They work with you and your provider to treat your specific condition. Medication is NOT one-size-fits-all. When is the medication supposed to become available? While RLC Labs assures us that production has started back up again, the drug is still hard to come by as the company works out of its backorders. As of the time of this article’s publication, no date has been provided as to when we should start receiving shipments. One option is to switch to another commercially available thyroid medication. Armour Thyroid, NP thyroid, and Westhroid are all available alternatives. Another option is to switch to a compounded thyroid medication. Depending on the patient’s insurance, a compound has the possibility of being more cost-effective for some patients than the commercially available options. They also have the added benefit of being made without unnecessary fillers and can be tailored to the exact strength specified by the doctor. And because quality is more important to us than anything else, each lot we make is sent to a third-party lab for potency testing before it is dispensed. The patient mentioned at the outset was able to happily abandon her hunt for the elusive, backordered thyroid medication by instead asking us to call her doctor and change her prescription to a compounded thyroid medication. She was able to pick up her prescription the next day. Whether you prefer to switch to an alternative commercial product or a compound, let us reach out to your doctor’s office on your behalf. We’ll talk with your doctor about changing your prescription to something that is readily available and keep any potential backorder-related gaps in your thyroid therapy bridged. Can’t find what you’re looking for? Our pharmacists at Community Clinical Pharmacy are ready to assist you. Feel free to talk to us if you have questions.